“Making Connections” is the theme of 2013 Rosendale Earthfest on Sunday, June 9—just weeks before the grand opening of Rosendale’s iconic trestle over the Rondout, which will provide a continuous rail trail from the town of Gardiner to the city of Kingston. 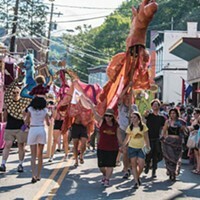 Festival-goers will learn about an expanding trail network and get connected with local food producers, energy-saving programs, and a rich array of community resources while enjoying music, theater, local foods, and fun and informative exhibits and activities. 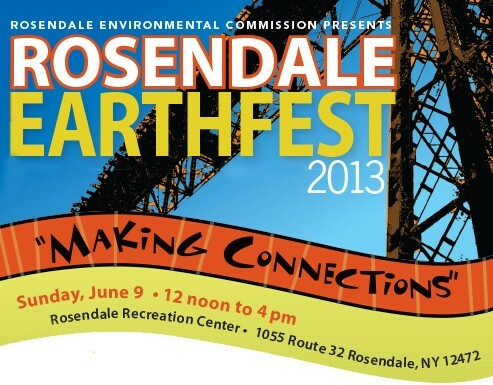 Hosted by the Rosendale Environmental Commission, Earthfest 2013 will be held from noon to 4 pm on the green and under the pavilion at the Rosendale Recreation Center, just steps away from the Rosendale Farmers Market. “The new trail connectivity will widen opportunities for bicycle commuting and recreation, strengthen connections between towns, and support Main Street businesses, all of which contribute to local and regional sustainability,” said Jen Metzger, Chair of the Rosendale Environmental Commission. 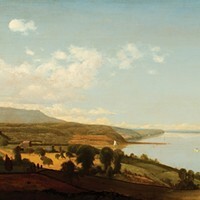 “At this year’s Earthfest, we’re building on the idea of ‘connectivity’ and promoting other kinds of connections supporting sustainability, as well.” These include the region’s network of food producers and the growing transition town network, which looks to build community self-reliance and resilience to the impacts of climate changes and rising fossil fuel costs. Exhibits at the Earthfest include the Tool Share Network, which collects old or unused hand tools from the community and then loans them seasonally to new farmers and gardeners, and the Repair Café, where community members can take their broken items and not only have them fixed but learn how to fix them. The Earthfest will also feature exhibits on local agriculture, renewable energy and energy efficiency, recycling, waste reduction, water conservation, and alternate transportation resources, among other topics. Attendees can sign up for a free home energy assessment with RUPCO/Green Jobs, Green NY, get information on energy-saving alternatives for home and business, see a demonstration on lacto-fermenting foods for preservation and nutrition, and learn how to repair their own bicycles. Wildlife Rehabilitator and Educator Lisa Acton will introduce visitors to her Eurasian Eagle Owl, local 4-H group Feathered Friends will host a petting zoo, and the Rosendale Café will offer a menu of delicious foods. Kids can make instruments from recyclables and play with the Rosendale marching band, plant a take-home garden, do nature crafts and stream play, and more. The event is rain or shine, and admission is free/donation, thanks to event sponsorship by Chronogram, Central Hudson, and RUPCO/Green Jobs, Green New York. The Rosendale Recreation Center is located at 1055 Rte. 32, Rosendale. For more information, contact 845-658-8967; earthfestexpo@gmail.com.